What separates voice from noise? At what point does a voice dissipate into the sounds that surround and, at times, threaten to overwhelm it? In “The Dream Life of Voice,” I draw special attention to the ways in which attending to voice—and its precarity—entails a heightened sensation of noise. Through my manipulation of recorded audio in this project, I argue that noise is not merely an unwanted or surprising sound: it is the material sonic trace of an unconscious listening that continues to work beneath, around, and within a conscious listening to voice. In this audio recording, I have taken a selection from a reading by the poet Bernadette Mayer that I recorded for the Tucson-based poetry and arts organization, POG, on February 6, 2016. I used a standard SM58 microphone, a digital audio recording interface, and the software program Logic. Mayer is known as a poet who has tested the boundaries of poetic statement through poems that engage with the conscious and unconscious uses of language. In this selection, she reads a long poem from her book The Ethics of Sleep (Trembling Pillow Press, 2011) on the power of dreams and dream language. In the performance, the poem and her voice create a sense of continuous movement, with quick and unpredictable turns of phrase sutured together by a syntactic and rhythmic familiarity. In this audio project, I flatten the sonic space in this recording of Mayer in order to abstract the voice and place it within a wider frequency spectrum of noise. Just as Mayer’s words engage her book’s title, my audio project argues for the possibility of an unconscious but engaged listening to noise. Roland Barthes famously defined listening as “a psychological act” and hearing as a mere “physiological phenomenon” (Barthes 246). In a kind of doubling of listening’s action, the work of formulating or understanding a voice involves a selecting for sounds as a significant figure—the mark of a person or persona. Yopie Prins calls the recorded, mediated voice of 19th century poetry a “voice inverse,” a prosthetic figure composed out of its imprint by mechanical means, whether those means be metrical, print-based, or phonographic (48). Of such mechanical means—in particular, audio recording—Charles Bernstein argues, “the mechanical semblance of voice has become the signal in a medium whose material base is sonic, not vocal. In such a phonic economy, noise is sound that can’t be recuperated as voice” (110). In taking up this binary phonic economy, however, I want to hear how voice and noise interweave and interpenetrate, with the sonic figuration of voice as a threshold that opens out to other sounds not ostensibly included in its composition. Press Play to hear “The Dream Life of Voice” by John Melillo, a rerecording of Bernadette Mayer reading from The Ethics of Sleep. 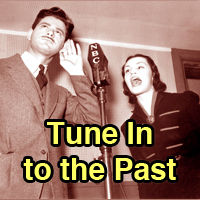 In this 12’43” audio recording, I have devised an analytic and synthetic method that allows listeners to reframe and refocus their hearing toward the trace of noise in voice, as well as the voice’s trace in noise. The final recording is composed of three simultaneous tracks, each of which represents a different “noise regime” in relation to the poet’s voice. The first, original, track contains the “straight” recording of Mayer’s voice and speech: one hears her performance of the poem loud and clear. This is the imprint of voice on the recording mechanism in a phonic economy of voice and noise, in which voice seems to counteract and silence its opposite. The second track contains a manipulated version of the original track, in which I have removed all the audio of Mayer’s voice and constructed a “background noise” track from what remains. In this method, I simply cut out Mayer’s voice from the audio file, keeping only the “silent” moments of the reading. 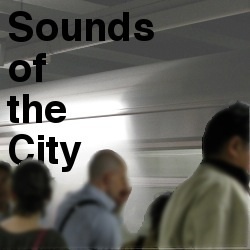 I then combined and looped these fragments to create an amplified track of the background sounds—sounds of the people in the room, cars outside, a train passing, and the recording medium itself (hiss). In this way, I flip the binary toward that which is explicitly unheard in the recording. For the third track, I manipulated the original recording by applying a Fast Fourier Transform with the software program Spear. This method breaks down the sounds into a collection of sine wave frequencies that can be graphically manipulated in the software program. I then removed the loudest frequencies (present mostly as Mayer’s voice) in order to emphasize the upper partials and continuous non-vocal frequencies masked by the force of the voice. This track marks a synthesis in which voice blends with and disappears into the frequency spectrum. I combined these three tracks and slowly adjusted the volume for each one. The track with Mayer’s voice starts off as the loudest of the three. Her comments on the noise from a train that has just passed begin the montage. This track then undergoes a long, slow diminuendo, and by the end of the piece, it is silenced. At the same time, the background noise track becomes louder and peaks in the middle, interfering with and working alongside the voice. The track of synthesized frequencies slowly crescendos so that it is loudest at the end of the piece. By distributing the volumes in this chiasmatic way, I want to call attention to the layered listenings happening within the situation of Mayer’s reading. Just as the figure of voice arises out of the ground of noise, it also contains frequencies that are not so easily differentiated from their background. A voice is an acoustic entity figured by a body and a performance. However habitual and repetitive the action is, it takes effort to suture vocal sounds to the body, place, and apparatus that they emanate from. In this track I want to find a way to hear a drifting, unconscious meandering within that focused effort. I want to materialize listening’s paratactic wavering of attention to one thing after another. In the production of this movement toward noise, I value illegibility over legibility and the abstract over the figured. If we deemphasize voice, we acknowledge the ways in which voices can undo themselves in their production—which is the ethics of dream life that Mayer argues for and illuminates within her poem. 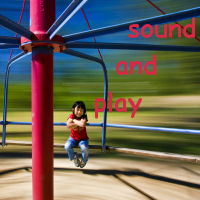 The outside within the voice is a frequency scatter that connects the dissipation of an emitted sound in space with all the other sounds that interfere or resonate with that sound. The strange whisper music that ends my audio project “flattens” the sonic space idealized by the division of figure and ground. By abstracting Bernadette Mayer’s performance, I seek a synthesis that brings the noisy dream life of voice into relief. John Melillo is an assistant professor in the English Department at the University of Arizona. His book project, Outside In: The Poetics of Noise from Dada to Punk, examines the ways in which poetry and performance make noise during the twentieth century. He has written and presented work on empathy in sound poetry, folk-song utopianism, the post-punk band DNA, and tape noise in Charles Olson. John performs music and sound art as Algae & Tentacles. I developed the text I recite in this post as the theoretical framework for an article I’m working on about audio compression. As I was working on the article, I wondered about the role of gender and race in the research on audio compression. Specifically, I was reminded of the central role Suzanne Vega’s “Tom’s Diner” played into research that led to the mp3. 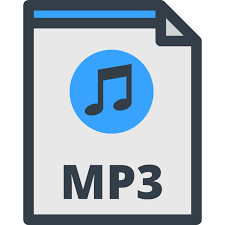 Karl-Heinz Brandenburg used the song to test the compression method he was developing for mp3s because it sounded “warm.” Sure, the track is very intimate and Vega’s voice is soft and vulnerable. But to what extent is its “warmth” the effect of a man’s perception of Vega addressing him as either/both an intimate partner or caregiver? Is its so-called warmth dependent upon the extent to which Vega’s voice performs idealized white hetero femininity, a role from which patriarchy definitely expects warmth (intimacy, care work) but can’t be bothered to hear anything beyond or other than that from (white) women? In other words, I’m wondering about what ways our compression practices are shaped by white supremacist, patriarchal listening ears. Before anyone even runs an audio signal through a compressor, how do patriarchal gender systems already themselves act as a kind of epistemological and sensory compression that separates out essential from inessential signal, such that we let women’s warm, caring voices through while also demanding they discipline themselves into compressing their anger and rage away? The literature does address the role of sexism and ableism in the shaping of audio technologies, but this critique is most commonly framed in conventionally liberal terms that understand oppression as a matter of researcher bias that excludes and censors minority voices. For example, the literature addresses the way “cultural differences like gender, age, race, class, nationality, and language” are overlooked by researchers (Jonathan Sterne), offers cursory nods to the biases and preferences of white cis men scientists (Ryan Maguire), or claims that “the principles of efficiency and universality central to the history of signal processing also worked to censure atypical voices and minor modes of communication” (Mara Mills). Though such analyses are absolutely necessary components of sonic cyberfeminist practice, they are not sufficient. We also need to consider the ways frequencies get parsed into the structural positions that masculinity and femininity occupy in Western patriarchal gender systems. Patriarchy doesn’t just influence researchers, their preferences, their choices, and their judgments. How is the break between essential and inessential signal mapped onto the gendered break between what Beauvoir calls “Absolute” and “Other,” masculine and feminine? 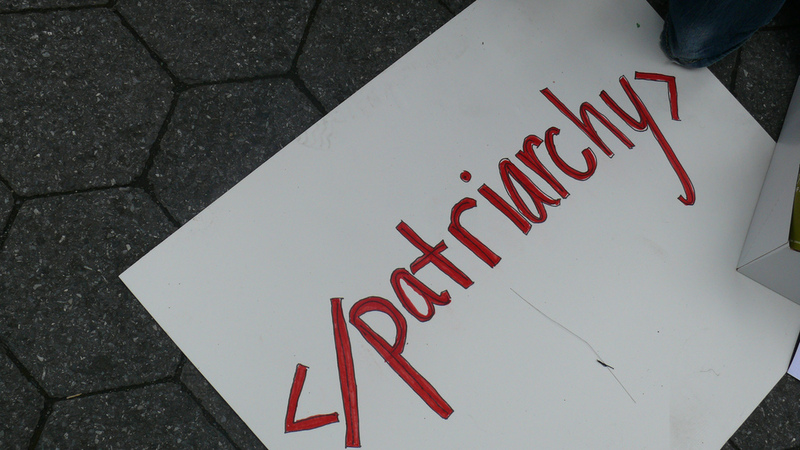 Patriarchy is not just a relation among people; it is also a relation among sounds. I don’t think this is inconsistent with the positions I cited earlier in this paragraph; rather, I am pursuing the concerns that motivate those positions a bit more emphatically. And this is perhaps because our objects of analysis are slightly different: I’m a political philosopher interested in political structures that shape epistemologies and ontologies—such as the patriarchal gender system organized by masculine absolute/feminine other—whereas most of the scholars I cited earlier have a more STS- and media-studies-approach that is interested in material culture. As a way to address these questions, I made a short critical karaoke-style sound piece where I read a shortened version of the text below over the original version of “Tom’s Diner” from Vega’s album Solitude Standing (which, for what it’s worth, I first owned on cassette, not digitally). I recorded my voice reciting a condensed version of the framework I develop for a sonic cyberfeminist theory of oppression over a copy of the original, a cappella version of “Tom’s Diner.” If I were in philosopher mode, I would theorize the full implications of this aesthetic choice, but I’m offering this as a sound art piece, the material and sensory dimensions of which provide y’all the opportunity to think through those implications yourselves. Perceptual coding and perceptual technics create breaks in the audio spectrum in the same way that neoliberalism and biopolitics create breaks in the spectrum of humanity. Perceptual coding refers to “those forms of audio coding that use a mathematical model of human hearing to actively remove sound in the audible part of the spectrum under the assumption that it will not be heard” (loc 547). Neoliberalism and biopolitics use a mathematical model of human life to actively remove people from eligibility for moral and political personhood on the assumption that they will not be missed. They each use the same basic set of techniques: a normalized model of hearing, the market, or life defines the parameters of what should be included and what should be disposed of, in order to maximize the accumulation of private property/personhood. These parameters are not objective but grounded in what Jennifer Lynne Stoever calls a “listening ear”: “a socially constructed ideological system producing but also regulating cultural ideas about sound” (13). 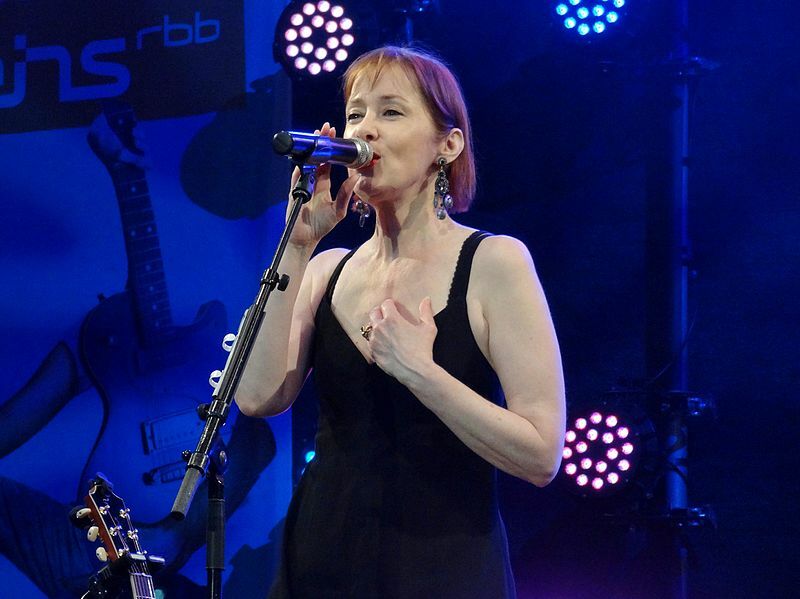 Perceptual coding uses white supremacist, capitalist presumptions about the limits of humanity to mark a break in what counts as sound and what counts as noise…such as presumptions about feminine voices like Suzanne Vega’s. Perceptual coding subjects audio frequencies to the same techniques of government and management that neoliberalism and biopolitics subject people to. For this reason, it can serve as a specifically sonic cyberfeminist theory of oppression. It shows us not just how oppression works under neoliberalism and biopolitics, but also its motivations and effects. The point is to increase the efficient accumulation of personhood as property by white supremacist capitalist patriarchal institutions. Privilege is the receipt of social investment and the ability to build on it by access to circulation. Oppression is the denial of this investment and access to circulation. For example, mass incarceration takes people of color out of circulation and subjects them to carceral logics…because this is the way such populations are most profitable for neoliberal and biopolitical white supremacist capitalist patriarchy.